As leaders in the SaaS industry, our ongoing success relies on security and the ability to provide clients with certain reassurances about our operational policies, including privacy, availability—and most importantly, cybersecurity. No one wants to work with an at-risk vendor! Not only is this transparency and professionalism considered best practices, it is also required by the AICPA’s Trust Service Principles (TSPs). The good news is, our compliance is not just subjective—it can be easily achieved through a SOC 2 Audit, or examination of our Service Organizational Control. Cybersecurity: How are your access controls, firewalls, authentication steps, intrusion / malware detection? Availability: How are your products and services meeting professional expectation for incident management and overall cybersecurity? Processing Integrity: Is your system delivering the right data at the right time and for the right price? Confidentiality: Are certain data assets like personnel information, business plans, intellectual property, price lists, and other sensitive information safe from bad actors? Encryption? Firewalls? Access controls? Privacy: How is your data and PII collected, stored, used, disseminated, and destroyed? What exactly is the SOC 2 Audit Process? A SOC 2 Audit is simply an official inspection of your organizational systems, including those around security, and how they work collaboratively to ensure all data and organizational interests are protected—not to mention client privacy. As a SaaS provider, it is not possible to move forward without a strong degree of security-consciousness and running an easy SOC 2 Audit on your system is the best way to ensure your business is managing these key areas with integrity and accountability. Why do I need a SOC 2 Audit? In an increasingly risky environment, a SOC report is often the result of customer demand, but it can also be a valuable tool for businesses looking to be proactive about their cybersecurity. In today’s landscape, however, reassurances based on our words alone are not enough—there needs to be some kind of third-party verification. Information security is a concerning issue for all organizations, including SaaS, who are tasked with ensuring data is never mishandled. And if we don’t give this step our full attention, we become vulnerable to attacks, theft, malware, and even theft of critical assets. While the SOC 2 Audit process can certainly validate your security preparedness, it’s also important to measure the financial outcome of this decisions and how it relates to your bottom line. If you are a hosting provider doing $5k of annual business with a customer who asks you to spend three times that amount to conduct an official audit, you may want to rethink that decision. But if you know the audit is likely to serve you in the big picture, as well as with other clients, it’s worth considering. Is a SOC 2 Audit right for my business? SOC 2 reports are not “one size fits all,” but rather custom-built for each organization. 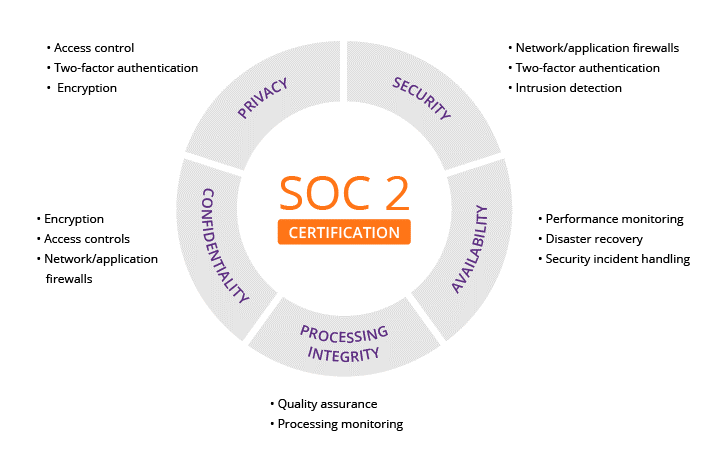 Taking into consideration the unique business practices of your company, a SOC 2 Audit can ensure you are complying within the cybersecurity measures that are particularly key to your industry. And for you, as a SaaS provider, it can also open your eyes to certain vulnerabilities that exist in your system, otherwise known as a win-win, for you and your clients. The bottom line is, security doesn’t have to be hard—it just has to be effective. And as a leading provider of cybersecurity management software, Apptega understands how to build, manage, report, and comply with best industry standards, while still working collaboratively with you to design a perfectly aligned program for your needs. And it only takes seconds. This allows you to implement and manage your entire program with ease, offering instant reassurance (and compliance) to customers, investors, and anyone else who questions your security posture. Our platform is the ideal choice for any organization looking to build, manage, and report with stress, confusion, or loss of revenue. With demos and free 30-day trials, there’s no reason to put off the security you could have today.